Trustees of a Newcastle-based charity say support from individuals and businesses across Staffordshire has been vital in getting their doors open, and are inviting those who have helped to a launch. Our Space (Staffs) Ltd was formed in February 2016 following the closure of the North Staffs Special Adventure Playground in December of the previous year. The charity, which provides social and recreational opportunities for children and adults with a wide range of disabilities, has relied heavily on the support of the local community since gaining the lease for the NSSAP’s former premises, now called The Brook Centre, alongside dementia charity, Approach, last August. Chair of Our Space Trustees, Alan Marsden, said: “We have been overwhelmed by support received from the local community over last 18 months, and particularly over the last 11 months since the award of the lease. The launch, which will also coincide with the charity’s first Annual General Meeting, is taking place on Monday 24th July at 4pm at The Brook Centre. Fellow Trustee, Christina Loftus, added: “We have also had financial support from community groups, such as the Lions, as well as from individuals who have taken on challenges like running marathons. Photo opportunity: The launch is taking place on Monday 24th July from 4pm, followed by the AGM at 6.30pm at The Brook Centre, Stanier Street, Newcastle under Lyme, ST5 2SU. Members, parents, trustees and supporters will be available for comment during the event. Our Space (Staffs) Ltd is a charity set up in February 2016 to provide play, social and recreational opportunities for disabled children, young people and adults and their families. It is estimated that the yearly running costs of Our Space (Staffs) Ltd will be in the region of £100,000 per year. 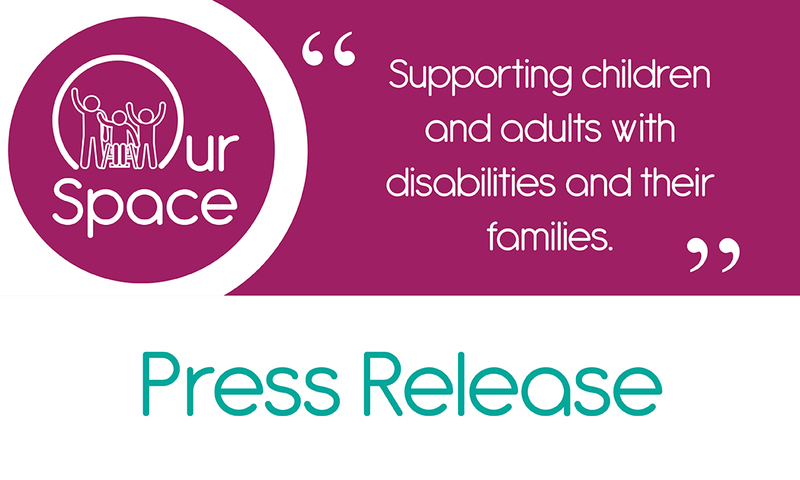 Our Space (Staffs) Ltd is independent (it receives no funding from any national charity) and has no association with any organisation bearing the same or a similar name. For quotes and comments on behalf of Our Space, contact in the first instance should be made via email at office@ourspacestaffs.org.uk.